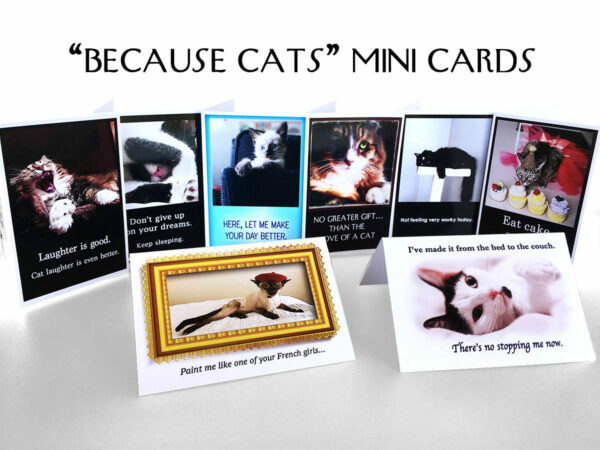 8 Mini Cards for Cat Lovers! Featuring our favorite Instagram cats. 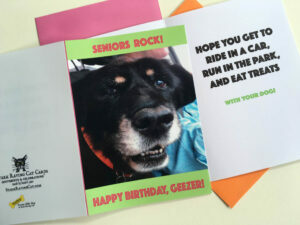 These fun little cards are blank inside: Use them as gift tags, enclosures, or as small greeting cards. 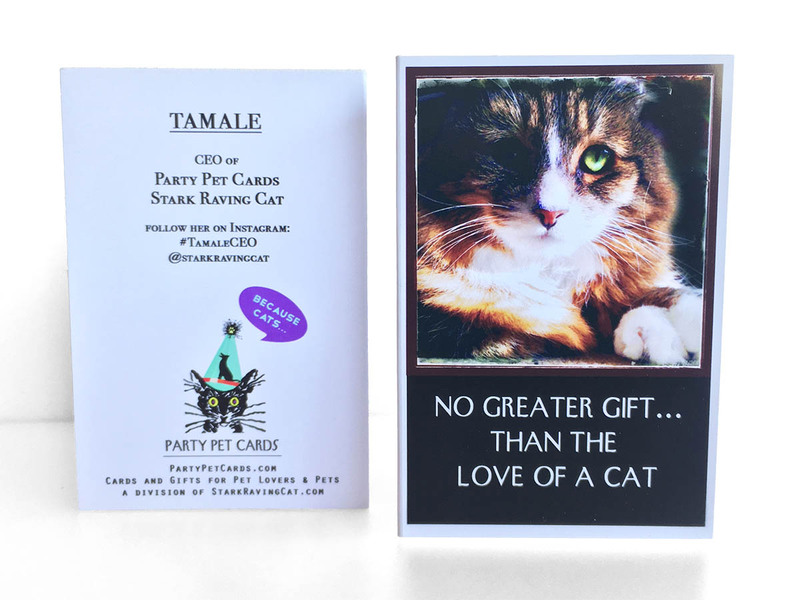 Slip in a gift check or store gift card. 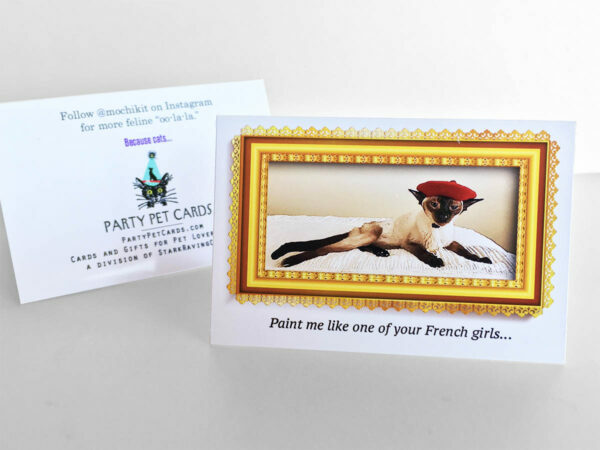 Each card comes with a sealable white envelope. 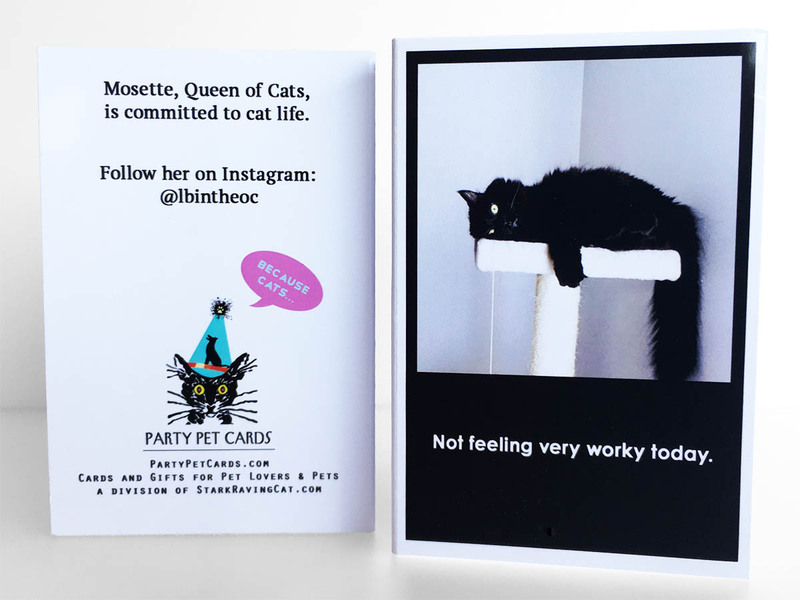 Each card is individually printed in my shop on glossy photo paper, hand-trimmed and scored. 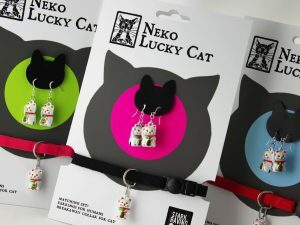 Each style is my own original design. 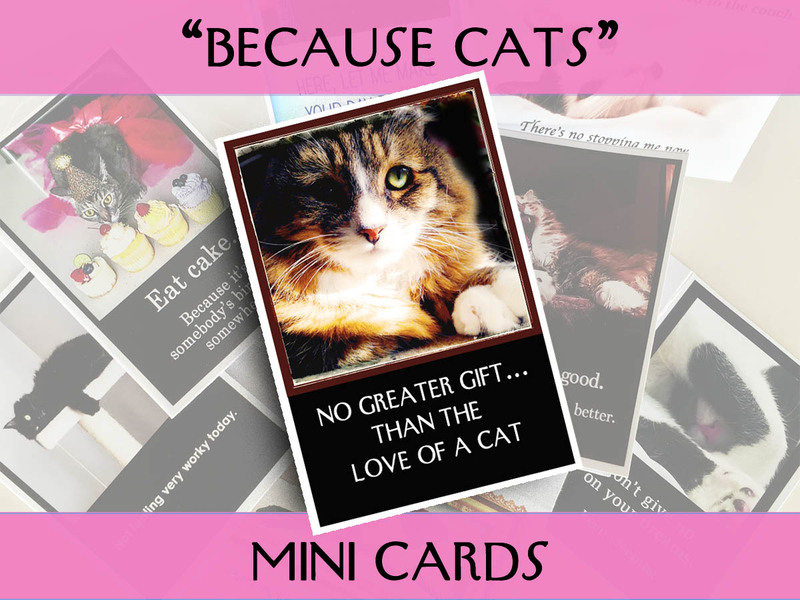 Coming soon: other mini card designs, including cat-quote cards, animal-lover cards, and mini Christmas cards. • Give them as a gift – people love mini-things! NOTE: These cards are too small to send in a mini-envelope via USPS. 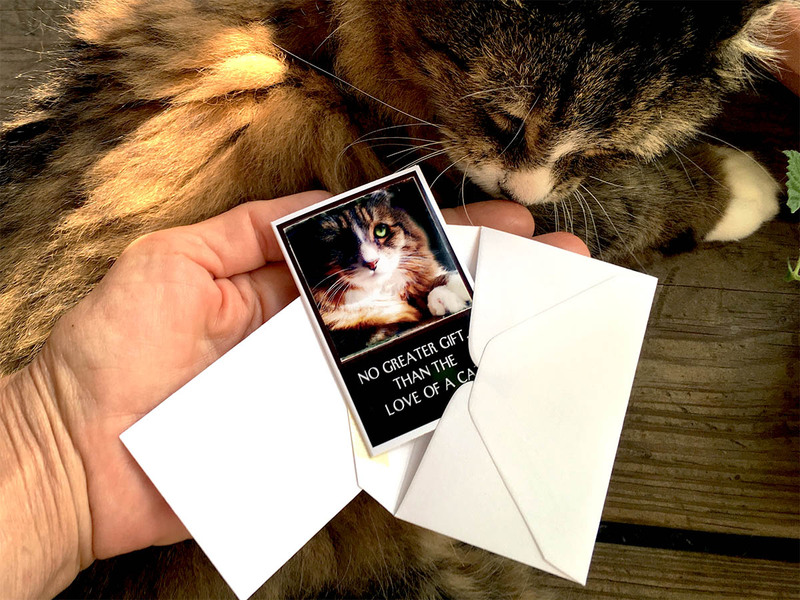 If you’re mailing them, enclose them in a larger envelope that meets the USPS minimum dimensions (currently 3.5 x 5 inches). 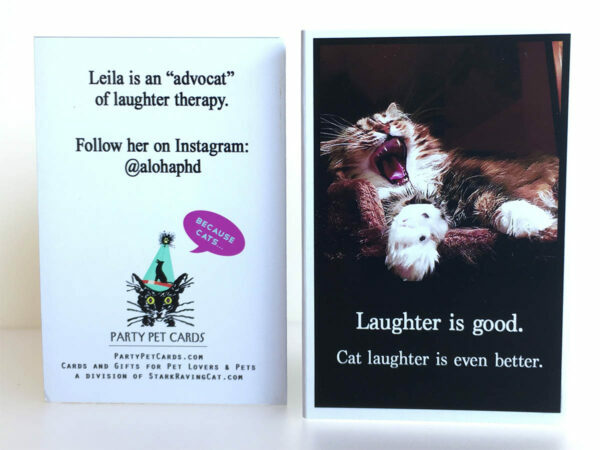 Choose from “Cat Quotes” or “Because Cats” — or get them both! 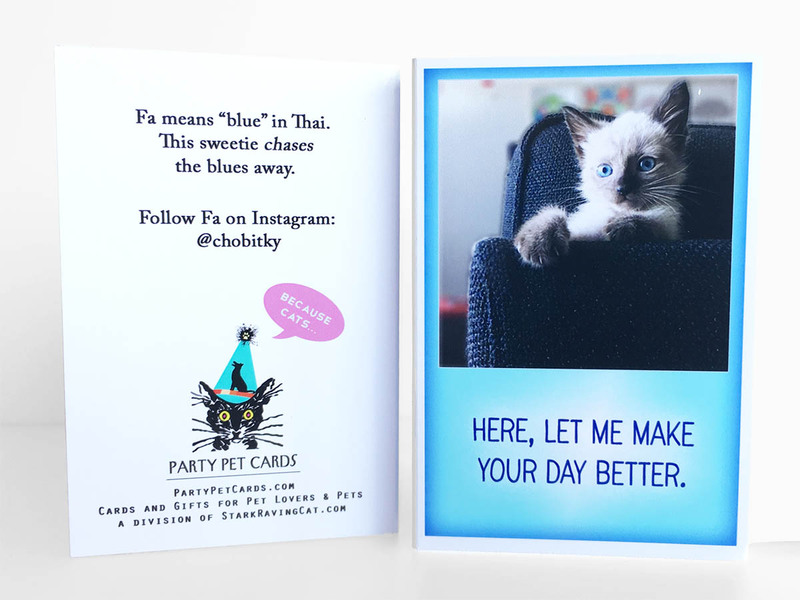 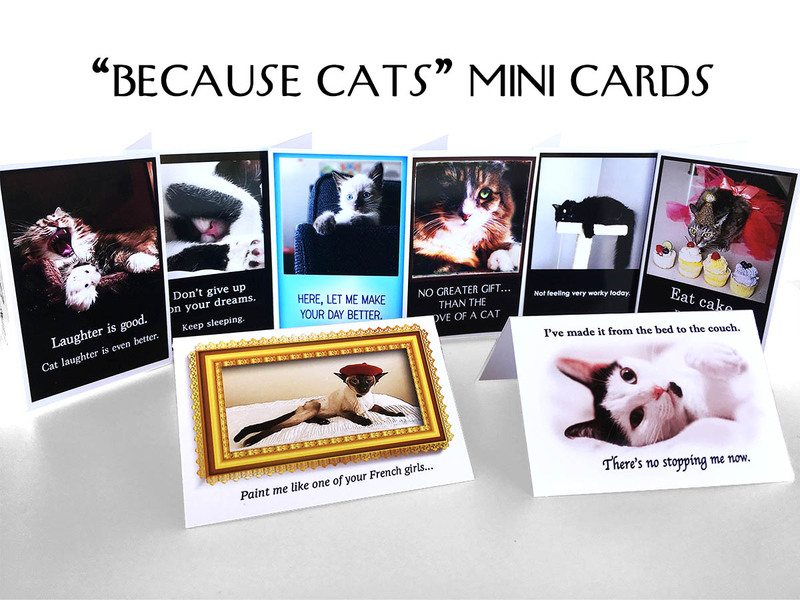 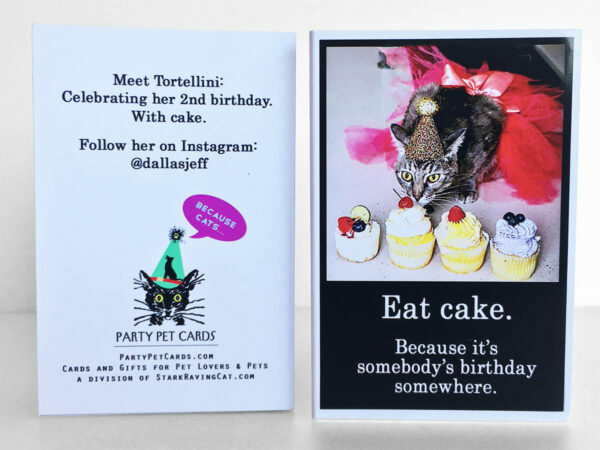 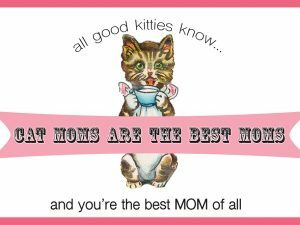 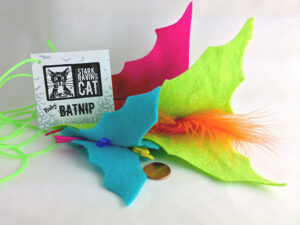 “Cat Quotes” features cat-themed designs, on mini cards! 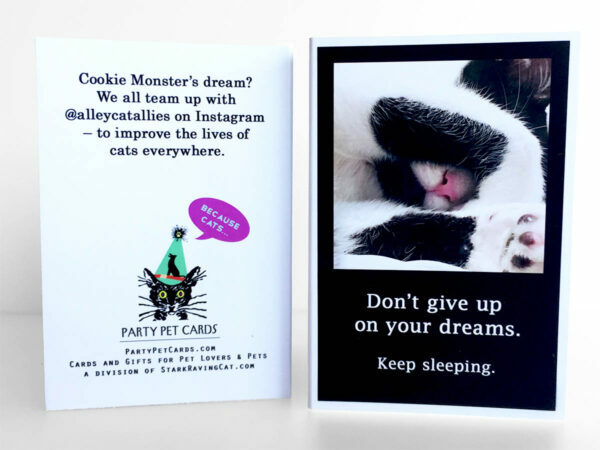 “Cat Quotes” contains 8 cards: each with inspirational messages that range from humorous to heartfelt love.